Join us for the final season screening of the beautiful documentary and celebration of Indigenous culture. Dylan River is an award-winning Aboriginal filmmaker and photographer from Alice Springs. He comes from a family of acclaimed storytellers and filmmakers. Dylan’s mission is to seek out largely unknown but still vibrant examples of living Aboriginal culture across central and northern Australia to document and preserve them. 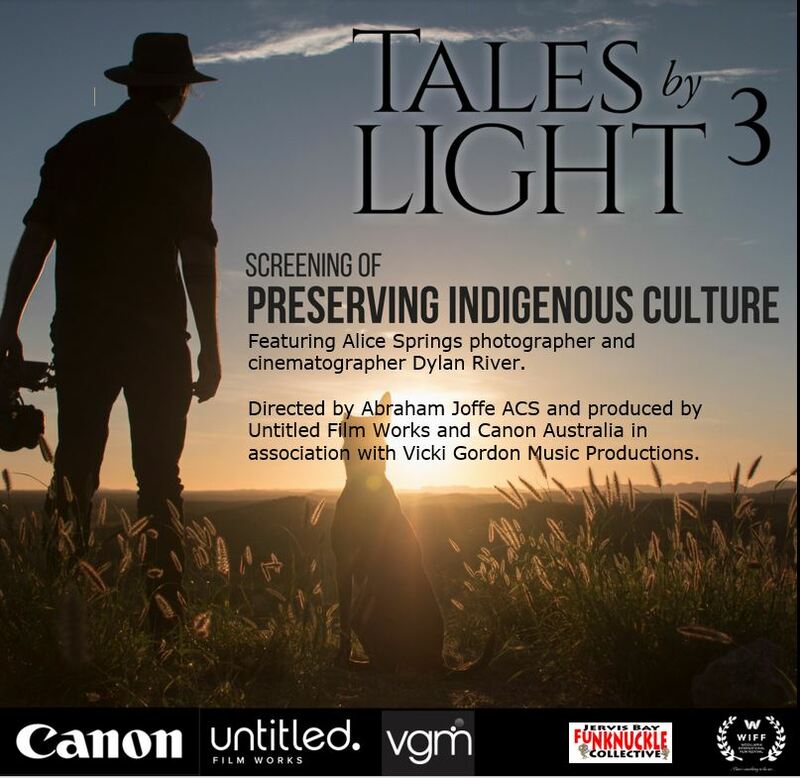 In Tales By Light Episode 3, Dylan visits the Australian central desert in Alice Springs, Victoria River on the northern edge of the Tanami Desert and the remote Yolngu community in Bawaka Arnhem Land. Communities and landscape rich with stories, culture and traditions spanning tens of thousands of years. Gold coin donations at the door welcome. Woollamia International Film Festival is a newly established (underground) film event that seeks to showcase new Australian works and support a range of not-for-profit organisations and charities.